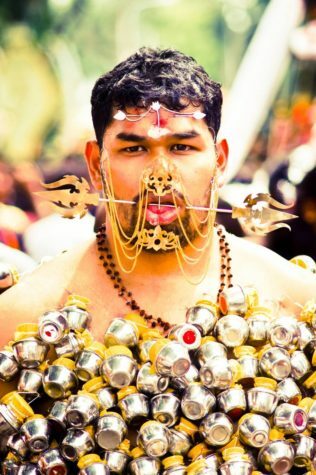 The “Festival of Pain” or Thaipusam, is a temple festival celebrated by Hindus of Tamil and Malayali descent in countries like Singapore, Malaysia, South Africa, South India, and Mauritius. The festivity takes place every year on the full moon during the Tamil month of Thai (January/February) and no, it has nothing to do with Thailand. Hindus have around thirty-three million gods that they worship. 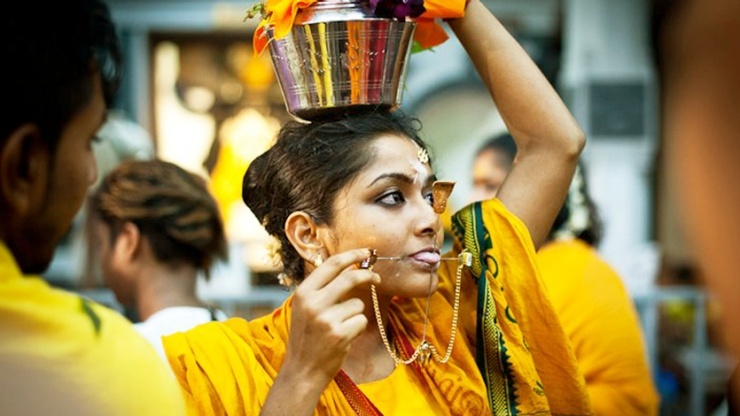 Thaipusam commemoratesthe occasion when Parvati (Shiva, a god’s wife, gave Murugan (the god of war) a vel (spear). 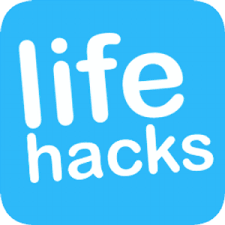 The most popular location for the festival is the Batu Caves in Malaysia where worshipers end the festival by praying in the caves. Hindus prove their faith to their gods by piercing their body parts, including their face, with metal spikes, hooks, spears, and skewers. 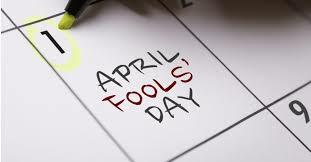 The holiday is all about asking forgiveness from their gods and believe that doing such acts can cleanse them of sins while reaffirming their faith in Hinduism. 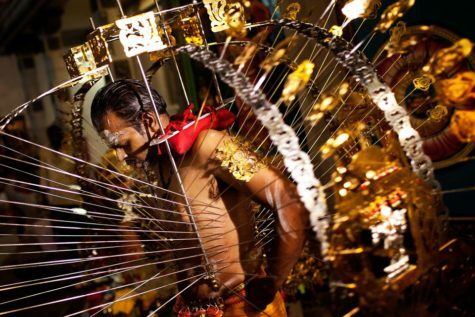 A kavadi is a large artistic shrine that is often so big, it takes multiple men’s assistance to march through the parade. The vel kavadi is hooked on to devotees by one hundred-eight sharp hooks. 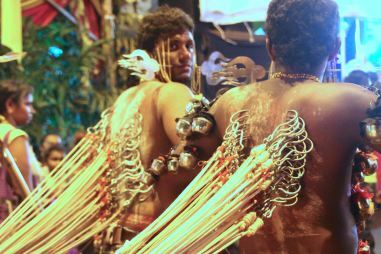 Two men carry Kavadi shrine with hooks.